Former White House photographer Pete Souza captured the moment in 2012 when President Barack Obama learned of the Sandy Hook shooting. In 2017, Souza described the powerful moment to Business Insider, reflecting on the way Obama’s energy appears to just “zap” out of his body. Friday, December 14, marks six years since the deadly shooting. Former President Barack Obama has said the worst day of his presidency was December 14, 2012, the day a gunman killed 20 first graders and six adults at an elementary school in Newtown, Connecticut. 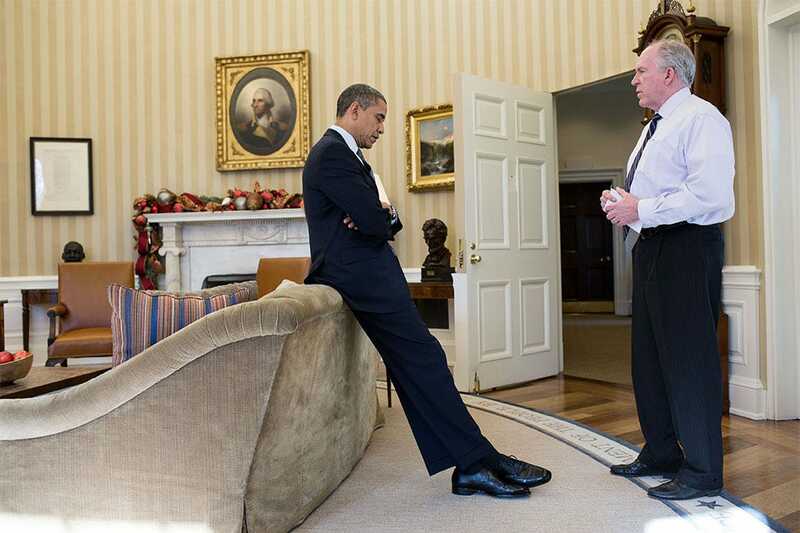 Pete Souza, the former chief official White House photographer,captured that powerful moment in the Oval Office when the president received the news from Homeland Security adviser John Brennan. The photo shows Obama leaning against a sofa, his shoulders hunched, arms crossed, and eyes closed as he listens. “In the picture, you see just kind of the energy just zap out of the president. I think he was thinking of this not only as a president, but imagining what it must be like as a parent,” Souza told Business Insider in 2017, shortly before the five-year anniversary of the shooting. “This evening, Michelle and I will do what I know every parent in America will do, which is hug our children a little tighter and we’ll tell them that we love them, and we’ll remind each other how deeply we love one another,” Obama said. On the fifth anniversary of the shooting, former White House press secretary Jay Carney also shared his memory of that day on Twitter, calling it his worst day at the White House.